Currently, I am in the Intensive Language Program, meaning that I have 9 courses per week for three months, the majority of which are conducted in Japanese. 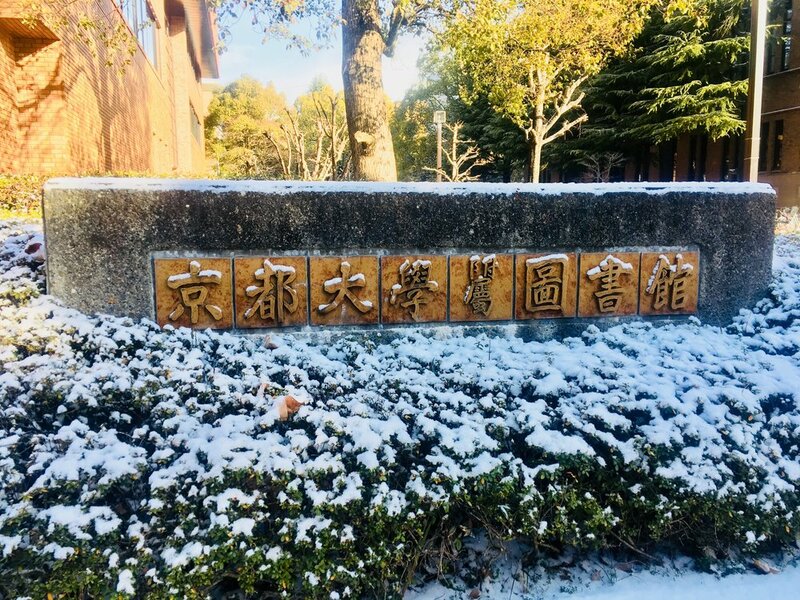 Within the first week of arriving in Japan, the MEXT scholars were tested on their Japanese language proficiency level, and then summarily, placed into appropriate classes. With four years of high school Japanese, one semester of University-level Japanese, and the JLPT Level 3 under my belt, I was able to enter the Intermediate Level II courses. The levels above me are: Intermediate III and Advanced. The levels below me are Intermediate I, Beginning II, and Beginning III. 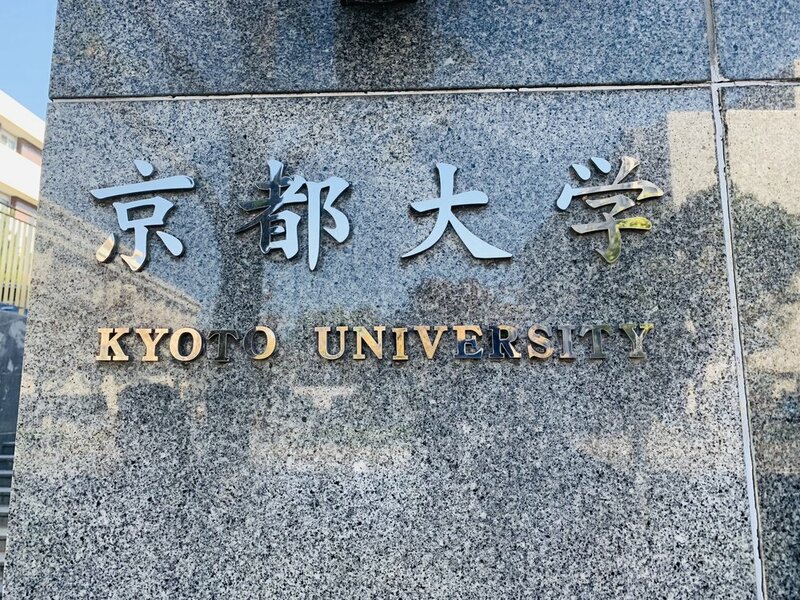 Next semester, I will still be able to continue Japanese Language Courses at Kyoto University, but others may not have that ability at different universities. I assume this intensive program is similar all across the country. Although my schedule will dramatically change next semester, this is a basic Q & A of my daily activities. 1. What is your morning schedule like? An early riser, I wake up every morning between 6-7:00 am. Either I shower in the morning or at night before bed. And I either cook up something more complex for breakfast (a combination of rice, konnyaku, natto, eggs, tofu, and vegetables), or eat something simple (bananas, almond butter OR cereal and milk). While eating breakfast, I am typically studying something Japanese. Before leaving for school around 8:10 am, I always recite a section of the Lotus Sutra (a.k.a. Gongyo in Nichiren Buddhism’s SGI organization) and chant / meditate for at least 30 minutes. Every day, my goal is to chant at least 1 hour! Prior to stepping out of the house, I turn off all my lights, unplug all electronic devices, open my window, take out trash, and lock the door. Although I may not need to be as cognizant of my electricity bill, or even burglars, it makes me feel more like a responsible adult. Next, I walk about 13 minutes to catch the Keihan Train. I live in Uji prefecture, which is a decent 50 minutes away from Yoshida Campus in Northeast Kyoto. Although I am about a 10-minute walk to Uji Campus, I have no classes there, as it’s focused on engineering and science. So I make the long trek to campus, but at least I can study on the trains! Every day, I try to get at least 12,500 steps and some additional form of exercise. As such, some mornings, I wake up around 5:30-6:00 am and run as soon as I can to avoid the heat and humidity. Other days, I will bike along Kamogawa River, whenever I have 45 minutes to an hour of free time. And recently, I went swimming for free at the Kyoto University pool on Yoshida Campus. However, it’s only open for two months out of the year for non-club members, and it’s only open for 2 hours between 12-14:00 (2 pm). Regardless, I thoroughly enjoyed my first experience swimming in a 50-meter pool in Japan! 2. Once on campus, what do you do? Once I arrive on campus, typically around 9:30 am, I begin running errands such as making copies of important documents, printing homework and presentations, buying drinks / snacks fro class, greeting fellow students, meeting with my professor, etc. Nearly every day, I meet with a classmate or acquaintance for lunch in one of our school cafeterias (the main one and Rune are my two favorites), or at one of the restaurants nearby. More than a handful of times, my friends and I have also hiked up Mt. Daimonji behind our campus, which only takes about an hour. And then, we grab a delicious meal at one of my favorite Korean restaurants (and maybe the only one within 200 meters), or my other favorite, local restaurant that an incredibly, sincere couple have been running for over 40 years. Plus, they serve a delicious meal of chicken, rice, salad, and a tiny desert for only $5! Most of my classes are in the afternoon, but my schedule varies from day-to-day. The only day I don’t have class is Wednesday, but I always end up going to Yoshida campus to meet with friends, and study in my Graduate Student Researcher’s room, the well air-conditioned supermarket nearby, or at Café Camphora or Tully’s on campus. We have a 24-hour study room in our Main Library, where you can eat, but I found it to be stuffy and crowded. Another area is called the Media Room, where you can listen to classical music, while studying. Some students sleep or watch TV in that room as well. I loved the concept, but felt like it was incredibly stuffy and humid. Plus, you are technically not allowed to eat, although many students did. 3. How do you spend your typical evening? Generally, I leave school around 4:30 pm, and arrive at Uji campus around 5:30 pm. Once I am back in my local area, I buy groceries at one of three supermarkets nearby, depending on what I want, and if there is a sale that day. Since I eat many vegetables and fresh fruit, my grocery bill is probably higher than average, and I have to go shopping more often, but I love what I eat, and I don't mind going grocery shopping. In fact, I find it fun! It takes me about 12-15 minutes to walk uphill to my dorm. Once home, I unpack, start preparing items for the next day, charge my gadgets, and start cooking dinner. While eating, I will study and / or check emails. When I have too much work to do, or need to accomplish high-priority tasks, I will not turn on my Wifi. That way, I can truly focus and get the work done. Although the hourly weather forecast in Kyoto seems to be only 70% accurate, I do still check it almost every night. Some nights, I will read Buddhist encouragement in English or Japanese, watch Japanese TV shows, work on my blog, respond to emails, and / or call my parents. Typically, I fall asleep around 10 or 11:00 pm, and start the day over again. Every night, I chant / meditate, do evening gongyo, and study. The chanting / meditating enables me to reflect on what I appreciated during the day, what else I need to accomplish that night, and what my goals are for the future. It’s absolutely essential to my overall well being and happiness! Plus, I’ve noticed something counterintuitive — the more time I spend the chanting, the more efficient, happy, and productive I am. It was a startling realization for me, and one of the main reasons why I cherish my Buddhist practice. 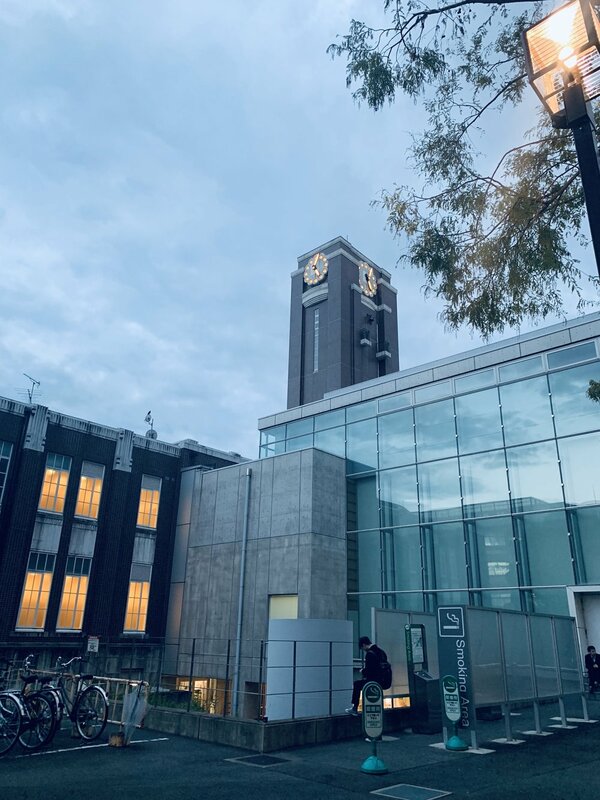 I hope you enjoyed this post about my current life as a Research Student at Kyoto University in the Japanese Intensive Language Program. This blog post in particular, was incredibly helpful for me. Please review it thoroughly.